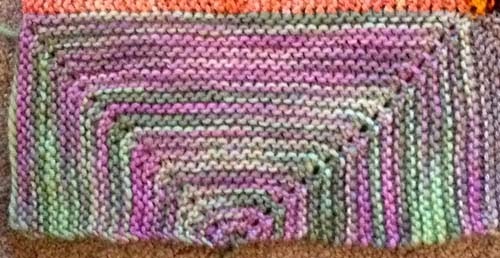 For me, no trip would be complete without adding another block to my Travel Afghan. I found "the one" at FabricBliss in Denver. It was a good choice for many reasons: it looked like the colors of the Yarn Along The Rockies logo, I'd never seen this yarn anywhere else before and I got it at FabricBliss and I think that the owner of the shop is one of the organizers of the yarn crawl.